An ideal gift for him to store his favourite tipple! 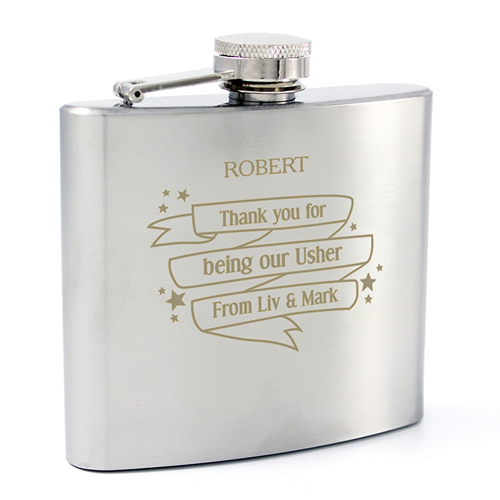 Personalise this Shining Star hip flask with any message over 4 lines and up to 15 characters per line. Including spaces and punctuation. Personalisation will appear as entered, if you require it to be in UPPER CASE, please enter in this style. Personalise with any message over 4 lines and up to 15 characters per line.